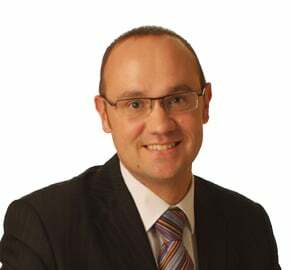 Anthony Fripp is a Partner and Head of the Commercial Property team. He has expertise in all landlord and tenant matters and commercial sales and purchases. He also acts for existing high value clients in bespoke residential property work. Anthony has specialised in Property work since qualifying in 1999, including working for a couple of years in a large city practice in Belfast. He has lived in Exeter and worked in Devon since 2001 and has been with WBW since October 2006. Anthony volunteers for Guide Dogs for the Blind, housing trainee guide dogs being trained locally. He is also currently the Chair of Governors at Exminster Community Primary School. He is currently undertaking the training required to be able to volunteer for The Samaritans. In what free time his work and volunteering duties allow, Anthony has a variety of sporting interests and is a keen cerevisaphile. He lives in Alphington with his wife and their cats.